Oddities. Entanglement of two opposites. Such an eccentric depiction. There is something surprising in it. Is it spilled milk; or maybe coal? What do you associate these two colours with? 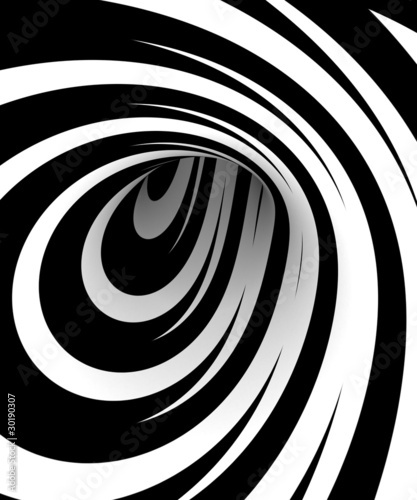 When the photo wallpaper depicting spiral monochromatisms appears on the wall, you will surely interpret it on your own.